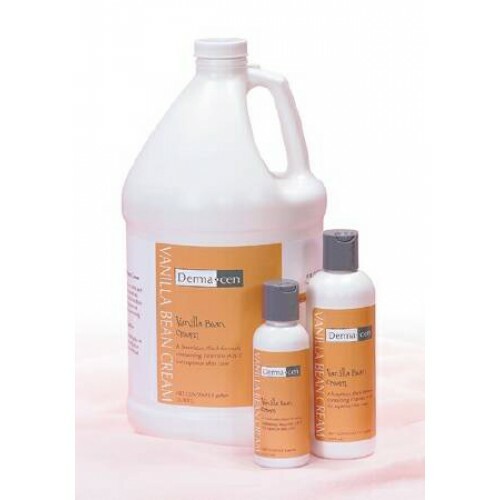 DermaCen Vanilla Bean Skin Cream BUY Vitamin A and B Skin Cream, DERM23182. 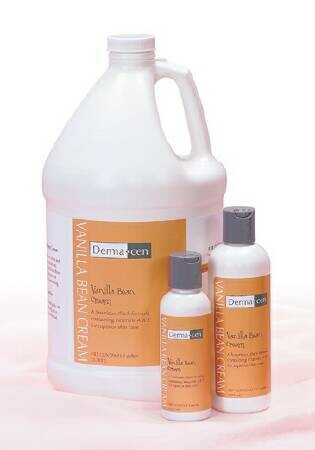 Vanilla Bean Skin Cream by DermaCen is a thick and luxurious formulation of vitamins A and E which do a fantastic job of providing long-term skin care that isn’t greasy with a lovely vanilla bean fragrance. The skin cream absorbs quickly in to the skin and does not have any watery run-off. Luxurious, thick formula–no thin, watery runoff. Contains emollients to provide long-term relief. Contains vitamins A & E for superior skin care. Absorbs quickly into skin with no greasy after-feel. We do not have a storefront location other than in Salt Lake City, UT. We can; however, ship to a store location of your choice if necessary. Really moisturizes and leaves the skin so soft. The fragrance is very pleasant and lasts for hours. Great price as well. I highly recommend this product. the skin cream came fast and website was easy to use. Vanilla bean cream is a very effective body lotion. Also has a luscious vanilla fragrance. Great price too. Love the lotion & scent! !